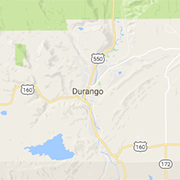 Check out our selection of Durango restaurants. View daily specials, menus, coupons, entrees and more. From fine dining to fast food, you'll find your flavor here. Hosting an event? Browse local Durango caterers, banquet halls, and buffets to give your guests a dining experience they'll never forget. Open nightly Memorial Day weekend, thru Labor Day, this Fun Old West Cowboy Music Show and Chuckwagon Supper is a can't miss Durango attraction. Using sustainable, grass-fed agriculture principles to produce an organic food experience through our farm-to-table restaurant and farm market.